Our consulting work is aimed at improving the performance of our clients’ operations. We have achieved this through control optimization, improved production reporting systems, and modelling and analysis of specific unit operations. In the early stages of design the process options are unclear and undefined. 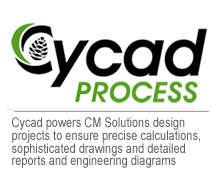 CM Solutions provides clarity and definition to the design process through our desktop, concept and prefeasibility studies. We have completed prefeasibility studies in copper pressure leaching and residue leaching. Our concept design studies have covered both greenfields and brownfields copper projects. Our experience in desktop studies includes assignments as diverse as processing zinc carbonate ores, removing ascenic from concentrate, and refining gold and silver from complex high-grade feedstock.